Not that long ago I did a review of this really good mystery and suspense thriller. Click here to see that review. 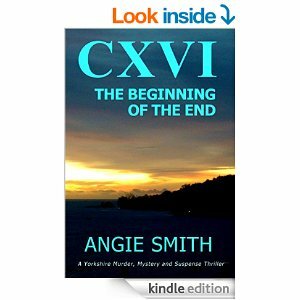 Angie Smith, the author of this novel asked if I would like to do a giveaway to one lucky winner. And here it is!! There will be one winner. A signed book or an E-Book. Since I am making this Rafflecopter you know it will be short and easy so get down there and try for this book now--As I said in my review " There are lots of twists and turns in this book--even at the end!!!!! If you like murder, mystery, political intrique and thrillers then I suggest you go get this book--NOW." I learned the author lives in West Yorkshire with her husband, son and dogs.